Another goal of ColorPipe-tools is too provide a user-friendly alternative to command-line. 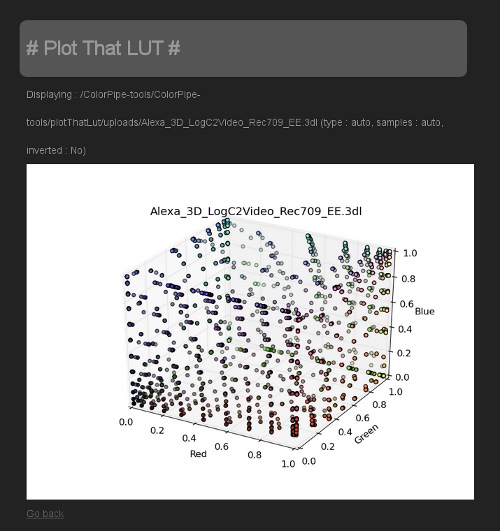 For now, only PlotThatLUT is integrated in this web app. setting up your environnement ($PYTHONPATH, …). creating img and uploads directories. 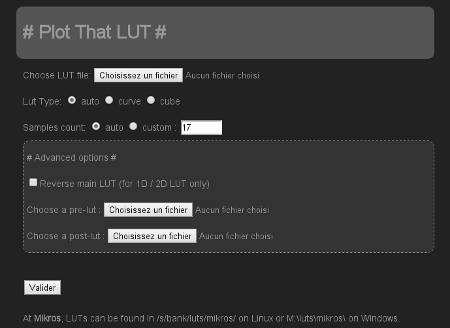 For deeper usages, you’ll have to customize your own cherryPy config (see server.conf).